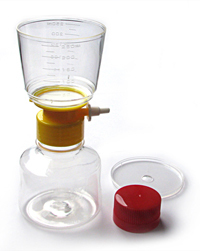 there are many filtration materials used in filtration process. Filtration is mostly used in various applications, like membrane filtration of water or organic samples, syringe filters in HPLC or air sampling of dust aerosol. Table listed belwo shows most commonly used filter media. by clickin on particulate filter material you will find detailed information.